We are now processing production parts in our new vacuum furnace. We have successfully processed A2, D2, H13, 420SS, M2, CPM-10V and other specialty grades. 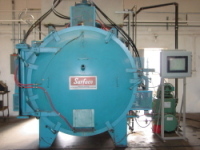 The furnace is capable of 2400°F and is equipped with positive pressure gas quenching to enable processing of most tool steel grades on the market. 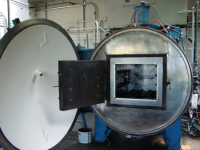 We also offer vacuum annealing of many materials including tool steels and carbon steels. Call us to discuss your material and application. We are also happy to discuss any post-hardening process needs with you.